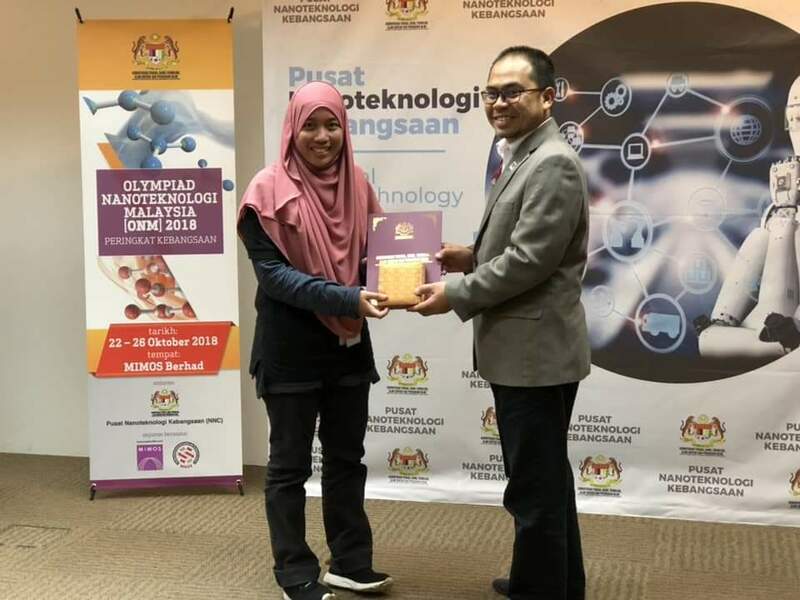 CONGRATULATIONS to our postgraduate students who have won SILVER and BRONZE medals in Malaysia Nanotechnology Olympiad Competition (ONM) 2018 organized by the National Nanotechnology Center (NNC), Ministry of Energy, Science, Technology, Environment and Climate Change (MESTECC) Malaysia in collaboration with the Malaysian Solid-State Science and Technology Association (MASS) and MIMOS Berhad. 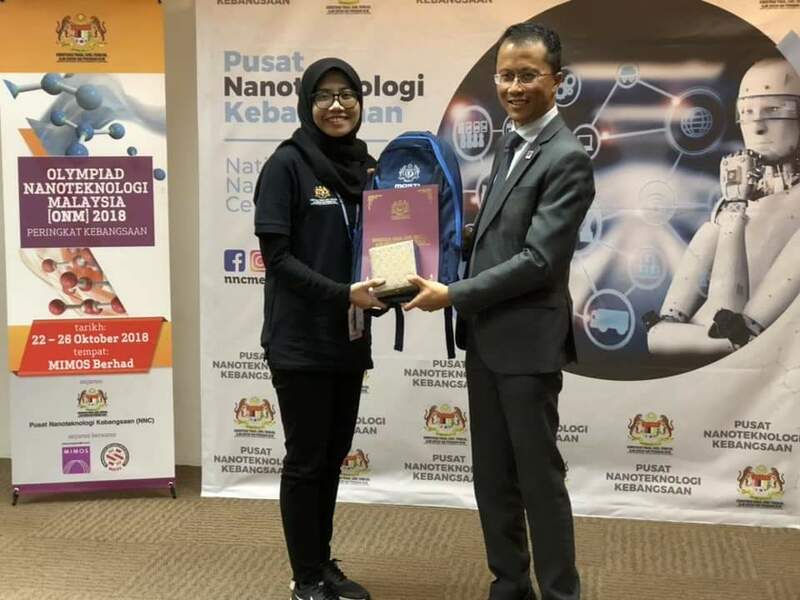 The Nano Camp ONM 2018 was held recently from 22nd to 26th October 2018 at MIMOS Berhad aimed at exposing the participants in the development of nanotechnology, green technology and automotive industries. In addition, the participants are also required to propose a solution and present a proposal based on the theme of the ONM 2018 this year, “Nanotechnology Applications for Green Transportation”. 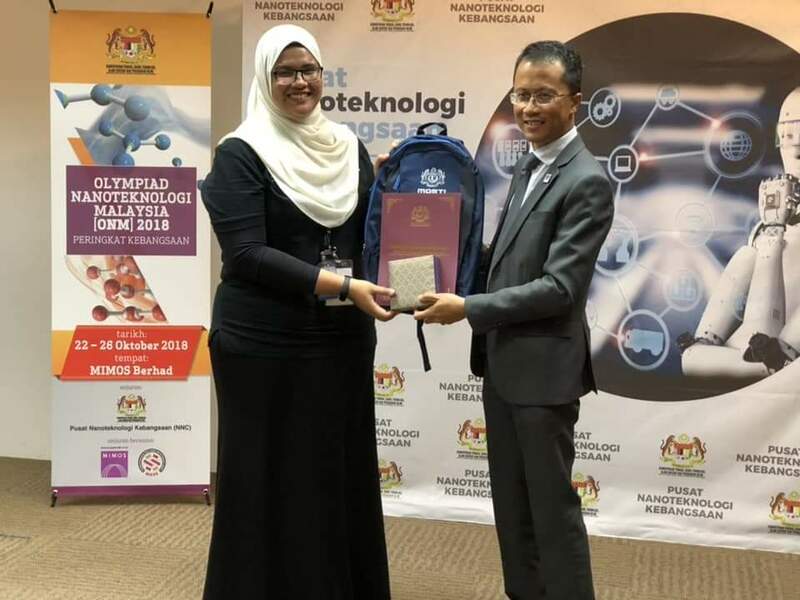 From 210 registered participations, only 30 students from different background of study and different university earn the highest score in the screening test and shortlisted for the final round Nano Camp ONM 2018. Once again, CONGRATULATIONS from all of us at Kulliyyah of Engineering.